Divorce can be a new beginning or it can be complete devastation – you have a voice in this. 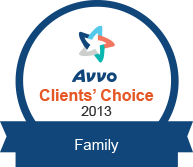 Beyond the legal process of a divorce is the family experience. Informed decisions are always key, and, too often, we focus exclusively on the law, ignoring the family, planning for the future, and the impact on the children. For Diana, the law is one part of the information that is needed to create a successful outcome, as her clients define “success”. With the option of working with child specialists, therapists, and financial professionals, Diana’s approach yields complete and practical outcomes, with all involved having a voice… including the children. 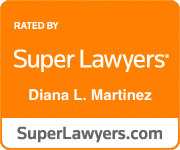 Diana L. Martinez is a family law lawyer practicing in the counties of San Bernardino, Orange, Los Angeles, and Riverside. Her practice is dedicated to out-of-court dispute resolution through consulting, collaborative, and mediation processes. In every divorce, separation, and/or child custody case, her goals are to keep the focus on the children, empower her clients to have a voice in their outcome and make informed decisions, and to protect the dignity and confidentiality of her client’s personal life transitions. Your family, your goals, and your concerns are too unique to leave to the cookie-cutter system of our divorce courts. Ms. Martinez is also a trainer and educator, locally and nationwide, on the topics of family law mediation and collaborative law, confidentiality, cultural competency, and ethics and best practices. She has presented for the California State Bar, Continuing Education of the Bar, Association of Family and Conciliation Courts, Collaborative Practice California, Southern California Mediation Association, University of Southern California Gould School of Law, Western State Law School, and various local bar associations and practice groups. She is also a frequent guest lecturer for community Divorce Options and Divorce Recovery programs. As a member of the board of Collaborative Practice California, past president of Collaborative Divorce Solutions of Orange County, and former newsletter editor for the Los Angeles Collaborative Family Law Association, Diana has facilitated education and enhancement of best practices in professional communities with markedly different demographics and practice philosophies. She is a co-founder of CultureCounts.net, a program dedicated to bringing awareness of cultural complexities and competency in family law matters. She also volunteers as a California State Bar and San Bernardino County Bar Association Mandatory Fee Arbitrator. Her dedication in private practice, as a volunteer mediator for Riverside, San Bernardino, Los Angeles, and Inyo/Mono county superior courts, and to continuing education and best practices has resulted in Super Lawyers’ recognition and a “Superb” 10/10 rating in peer and client reviews. She is also a Eureka Award recipient and is one of a handful of non-litigating family lawyers to receive Super Lawyer designation multiple years running. Diana received her BA from the University of California, at Riverside, and her JD from the University of Southern California School of Law. She has practiced as a lawyer in the areas of family law, criminal defense, and civil litigation. 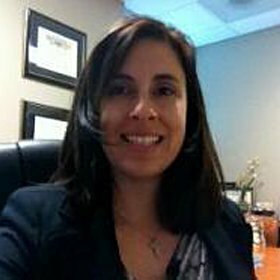 She is a member of Collaborative Divorce Solutions of Orange County, Riverside County and Los Angeles County Bar Associations, the International Association of Collaborative Professionals, and is a nationally certified snowboard and ski instructor.